London Bus and Taxi Wall Stickers. Add a touch of London to your Decor. 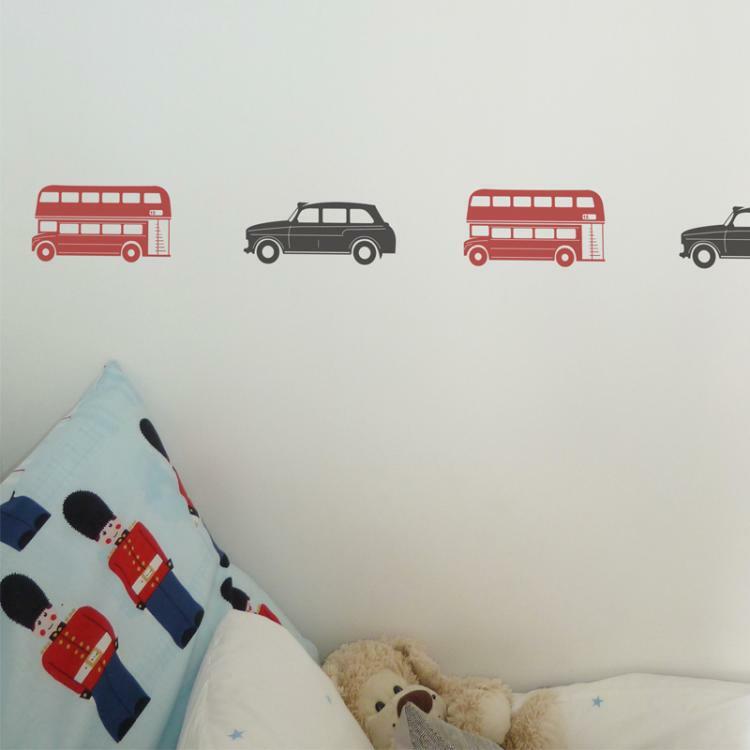 Mixed pack of 3 Taxis (8 x 21cm) and 3 Buses (10 x 19cm) wall stickers. Taxi wall stickers: 8 x 21cm. Bus wall stickers: 10 x 19cm.